Every year I go through the process of creating a brand new show. In the summer I roll it out to the libraries throughout Wisconsin and Illinois. Why do I do this? Well, it helps on so many levels. First it helps me stay current with my craft. Thinking about new ideas and ways to present them sharpens my mind and in the end there's a finished product that didn't exist 6 months prior. It's also good for the libraries. They get a show which has been crafted with them especially in mind. So reading is emphasized and library use is promoted. Then there are the kids and their parents. They get something new to experience -- even if I've been to their library several years in a row. So, there are a host of great reasons to make a new show each year. Of course it's a lot of work. Hundreds of hours go into creating new routines, choosing the right mood music, writing new ventriloquist skits, and creating special props. Plus there's the monetary cost for new backdrops and props. But in the end, seeing the smiles and looks of astonishment -- hearing the laughter and reading the great reviews after make it all worthwhile. 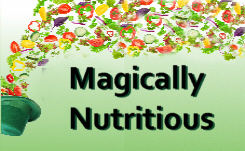 This year I am the Nutrition Magician. 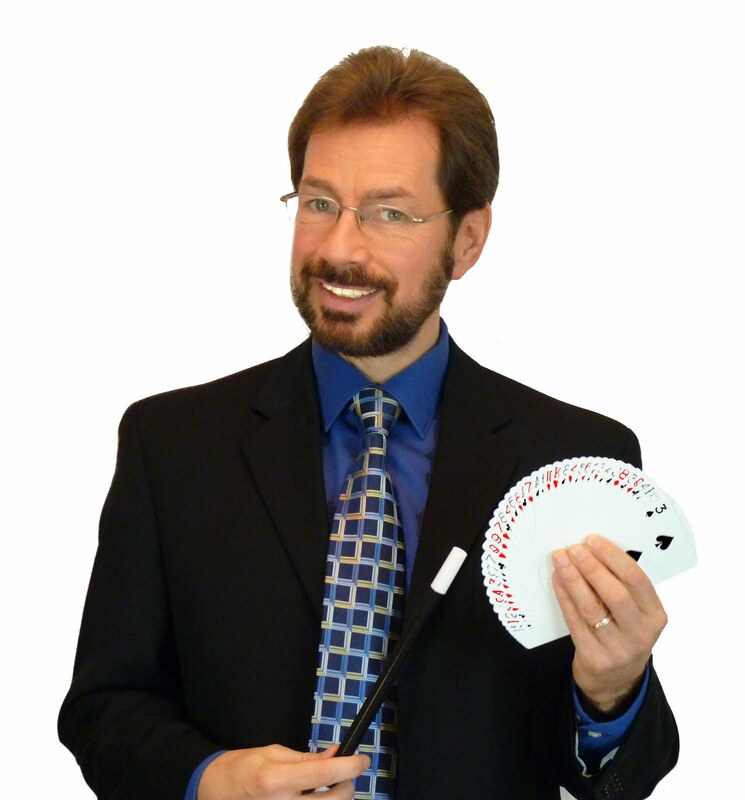 Presenting a fun-filled magic show that teaches kids about healthy living. Look for the show at a library near you. . . and if your library doesn't have this show scheduled, tell them about Great Scott's "Tricks, They're Magically Nutritious" show.